Here is an update with some much needed performance optimizations, which should make the new UI much more responsive and nice to look at. 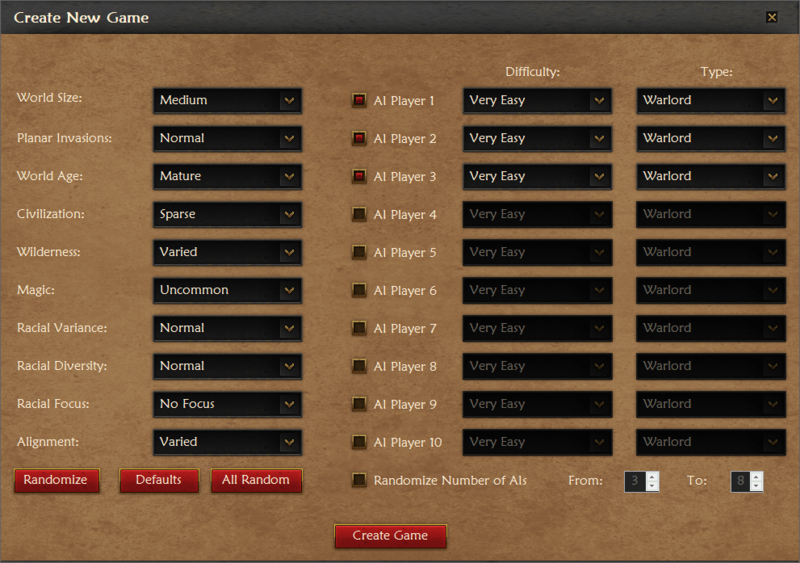 I have also added more new UI elements, and improved the name generation code for some languages and for place names. As promised, here is a version with a more reasonable file size. It’s still larger than the previous releases, as there is music in there, but it’s about 10 megabytes and not a 100. I also fixed a couple of crashbugs, some ui layout issues, and a bug with the combobox showing weird text. The numeric up and down needs to be replaced with nicer buttons, but apart from that it has been fully reskinned, until the time comes to add more background art.